Brigit Hollis grew up on a farm near Galesburg, IL. She attended the University of Illinois to study Animal Science. In 1997, she graduated from the U of I College of Veterinary Medicine. Following graduation, Dr. Hollis and her husband, Dr. Bill Hollis, moved to Hamilton to practice with Dr Steve Renard at the Hancock Veterinary Clinic. In the 20 plus years since, she has seen many changes and growth in veterinary medicine. She has enjoyed developing and maintaining long term relationships with clients and patients. Dr. Hollis has 2 teenagers at home, Bailey and Ben. Her spare time is spent at their extracurricular activities, her horses and flowers. Dr. Maggie Harrell grew up in Donnellson, Iowa and graduated from Iowa State University’s College of Veterinary Medicine in 2010. 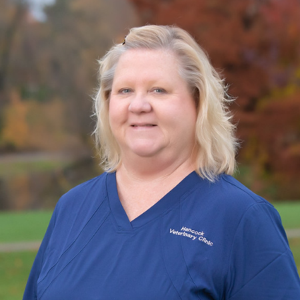 She has been practicing with Hancock Veterinary Clinic since October of 2012. 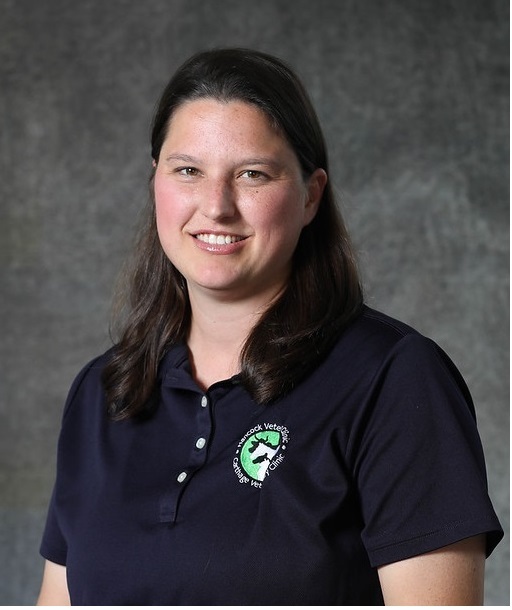 She specializes in bovine medicine/herd health, dermatology, and soft tissue surgery. Dr. Harrell currently resides in Burnside, IL with her husband Michael Harrell. 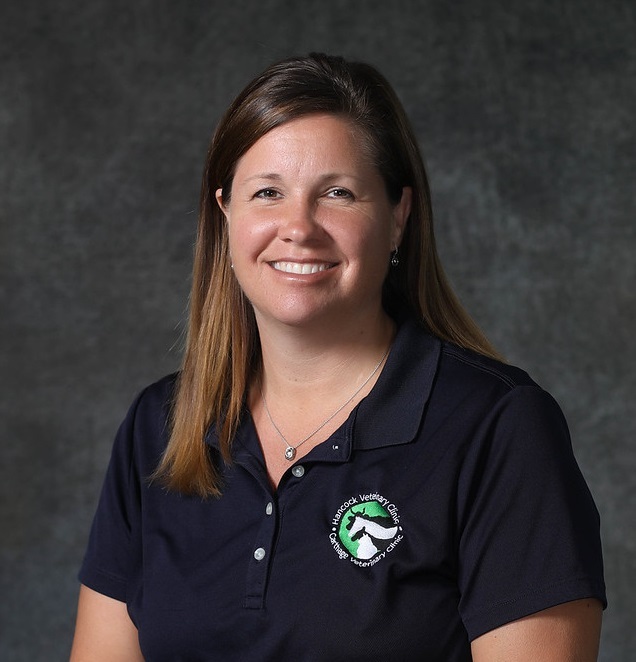 Outside of practice, Dr. Harrell enjoys raising cattle, attending cattle shows, watching the Iowa State Cyclones, and spending time with family. Her family currently has 100 head of Angus/Simmental/Hereford cattle, horses, barn cats, and a donkey. They also are busy raising two daughters – Madison and Mya who are involved in dance and are building interest in showing livestock. Dr. Michael Foley grew up in Cedar Rapids, Iowa and graduated from Thomas Jefferson High School in 2002. He attended the University of Northern Iowa for undergrad with a focus on Pre-Law. 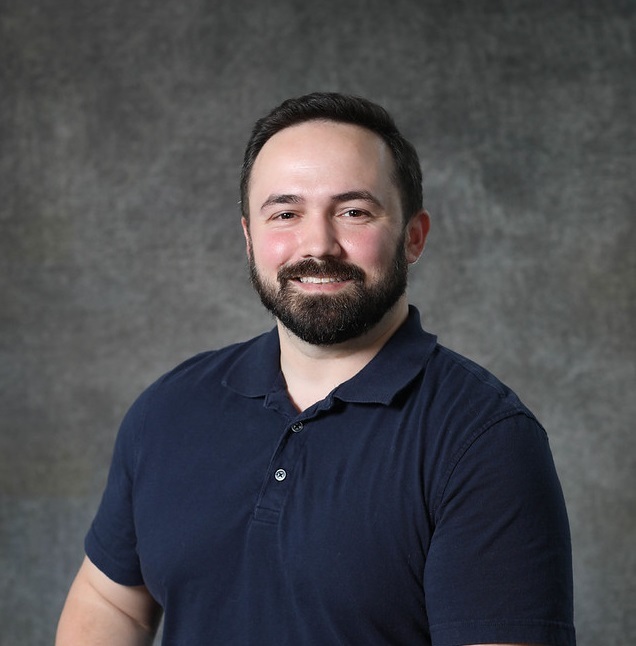 After a career working in Legal/Management field for various firms, Dr. Foley decided to change careers and attended Iowa State University and graduated in May of 2018 from the College of Veterinary Medicine. Dr. Foley’s professional interests include exotic medicine, ophthalmology, preventative care and small ruminant health. Dr. Foley resides in Keokuk, IA with his two cats and some very interesting house plants. Outside of practice, Dr. Foley enjoys cooking, reading, camping, fishing and playing board games. Kelly joined Hancock Veterinary Clinic in 1993. Kelly has worked as a groomer and vet assistant over the years and has served as the Practice Manager for the last twenty years. Kelly lives with her husband, Mark, and their dog, Poppy, in rural Keokuk, Iowa. They have two grown children and a grandson. Kelly enjoys traveling, cooking, and entertaining family and friends. 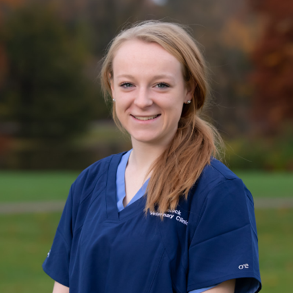 Morgan joined the Hancock Veterinary team in December of 2015 as a Veterinary Assistant. She grew up in Basco, Illinois, on the family’s cattle farm. 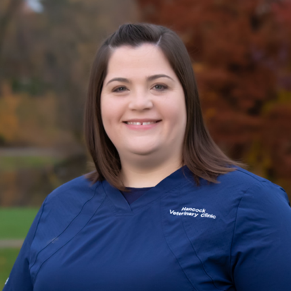 Morgan helps with medical and surgical procedures, farm calls, office work, and assisting the doctors as needed. She enjoys working with animals and learning new things every day. Morgan resides in Augusta, Illinois, with her boyfriend, Austin, her French bulldog, Frenchie and the newest member of the family, their daughter, RayLee who was born in May of 2018. 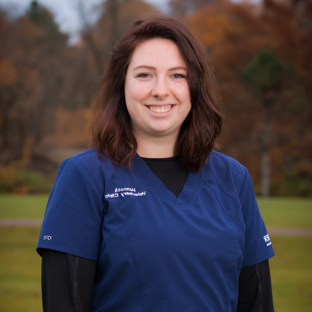 Ashley joined the Hancock Veterinary Clinic staff in November of 2017. She serves as Groomer and Veterinary Assistant. 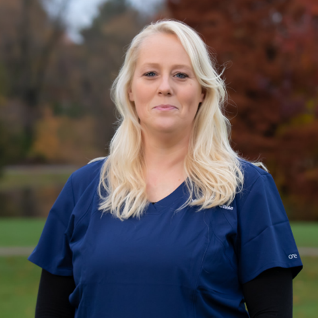 Ashley makes sure hospitalized and boarding patients are well cared for, monitors post-surgical recovery, keeps the kennel area well stocked, and assists the doctors and other staff as needed. Ashley lives in Elvaston, Illinois with her boyfriend, Dalton, and their son, Avery. 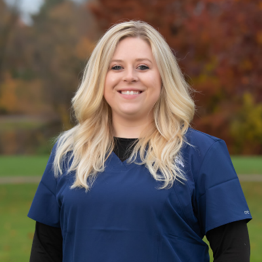 Maddie joined the Hancock Veterinary team in September of 2017. She assists the doctors with surgery, patient exams, farm calls, and patient care. Maddie also assists in the office with invoicing and scheduling. Maddie lives with her husband Cody and daughter, Lennox, in Basco, Illinois. She enjoys outdoor activities, cooking, riding horses, and playing with her two dogs, Bandit and Bobby. Sarah has been with Hancock Veterinary Clinic since September of 2011. Sarah serves as the Senior Assistant. She assists the doctors with surgery prep, post-surgical monitoring, patient exams, farm calls, and helps train the staff. Sarah also works in the office doing scheduling, invoicing, and inventory control. Sarah lives in Keokuk, and enjoys activities with her five children and her grandson. Abby joined the team as a Veterinary Assistant in January of 2017. Abby assists the doctors with surgery, post-surgical patient care, patient exams, farm calls, and splits her time between both of the clinics. Abby works in the office also, invoicing and scheduling. Abby lives in Montrose, Iowa and enjoys gardening and playing with her three children, dog and cat.